In the previous post, Why Adults With ADHD Need A Task Manager, I shared with you the importance of a to-do list for ADHD adults. In this post I want to help you decide what kind of container might work best for you. My hope is that, at the very least, this provides you with food for thought. Because, while you absolutely need a container for your tasks, it does not matter what kind you choose. If you prefer paper, the SmartPlanner (specifically for adults with ADHD) or Planner Pad are two good options. Size / Portability – Do I want a smaller size because I am going to carry it around with me? Do I want a larger size for more writing space? Viewing Tasks – Do I want to see all my tasks (“data dump”) or just tasks for the day, week or month? Which is the best format so I do not get overwhelmed, but see enough to plan? 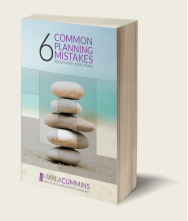 Project Planning – Do I want the planner to have a ready-made system to help me plan projects? Viewing the Calendar – What calendar views (day, week, month) do I want? Which view would help me focus on what I need to do now and plan enough ahead? Structure – How much structure do I want in a planner? Do I want a system to help focus my attention and make decisions about what tasks to do? Alternatively, and at the other end of the continuum, do I just want a calendar and a place to write my to-dos? Style – Do I want a spiral bound planner, maybe even one with a zipper, because I am concerned about losing pages? Alternatively, do I want the flexibility of a binder so I can replace pages as needed? What do you need in your paper planner? If you are opting for an electronic planner, it is important to choose one that is simple enough to use and is in sync with how you operate. That way there will be a greater likelihood you will use it consistently. Are you a linear thinker? Linear Thinkers like information presented in an organized way, are concerned with detail and have trouble with visual clutter. They like consistency and predictability. If you are more of a linear thinker, Toodledo, Todoist and Nozbe are examples of electronic options that may work well for you. Alternatively, are you a global thinker? Many adults with ADHD tend to be more global thinkers. Global thinkers, especially if they are visual learners, like to keep everything they are doing in sight. Think mindmap. They are not, however, as interested in all the details. Trello and Workflowy are two great options for global thinkers. What Do You Need In An Electronic Planner? Choosing an electronic planner can be challenging as they come with so many bells and whistles. And you may not sure what you really need right now. To help you think about this below is a list of some of the more common options. As you go through the options below label them: 1. must have, 2. nice to have, 3. don’t need, 4. have no clue and need to ask someone why I might need this. Since it can be confusing, take time to talk it though with someone to figure out what options might work best for you. And, remember, you won’t know for sure until you experiment for a bit. The key is that you choose one and use it consistently. What are you going to use to hold your tasks?